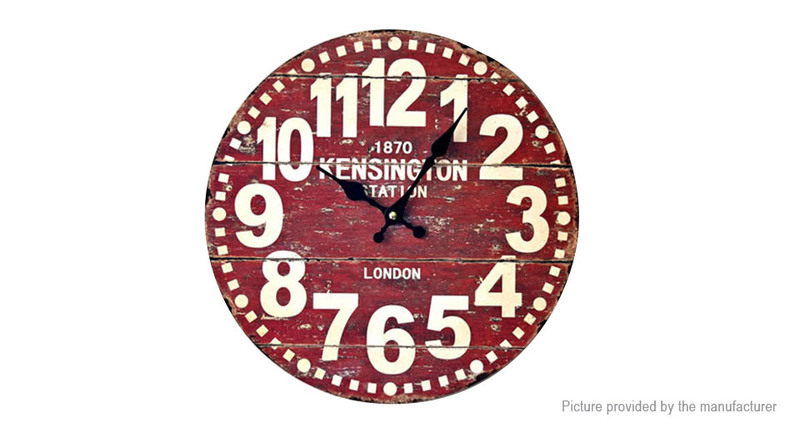 Retro styled analog wall clock. 7 patterns available for your option. Can be a good gift at housewarmings, weddings, and social gatherings. Plastic casing behind the clock with hook design for battery and hanging.